The Walking Dead is one of those rare TV shows that, like prepping, captures the zeitgeist of its time. No, not that the dead are actually rising, but rather that we cannot rely on the government to save us and the modern infrastructure we rely on so heavily is all too easily disrupted, broken, or even destroyed. The series started in 2010 and has a recent spin-off called Fear the Walking Dead that takes place in Los Angeles and Baja California. The original series starts in Georgia, eventually moving to the DC suburbs. People who choose to bug in survive in all kinds of places on both coasts. Survivors are found in remote cabins and farms, but also in towns, cities, and even a prison. As time goes on, the survivors find walled suburbs and fortified towns built or modified to keep danger out. Whether it’s Father Gabriel hiding in his isolated church with the windows boarded up or Tara and her family hiding in a small apartment building in a small town, those who survive are the ones who gathered supplies and locked themselves into a safe place and stayed there while the initial danger raged outside their doors. They didn’t get complacent, they didn’t take unnecessary risks, and they didn’t give up when things looked bad. As the series continues, the main characters come across many places where those fortunate circumstances didn’t happen. In one suburb with a pre-apocalypse brick wall, the residents gathered supplies and locked themselves in for safety. Unfortunately, someone died and came back to life as a walker. Everyone in the community died because they assumed once they shut those gates, all was safe inside. They weren’t prepared to defend themselves from threats within their walls, to run, or even to hide somewhere else until they could escape. It’s never “all safe”, not even before an apocalypse. 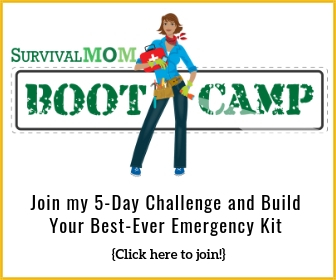 Being physically and mentally capable of defending yourself and your family, and having the knowledge and equipment you need to do so, can make the difference between life and death in the worst disasters and between having looters, and worse, take what is yours in even a short-term situation, such as a localized natural disaster. Mindset, knowledge, and the right goods don’t always trump location, but they can make the difference between a good outcome and a bad one in most places. However, there are also times to binge. When you are next to a stream, purify the water and drink your fill. There is more water in that stream than you can carry, even if you wanted to. If you have a #10 can of chocolate pudding and will be moving on soon, go ahead and eat the whole thing because, really, who can carry a #10 can of pudding without spilling it and keep their eyes peeled for danger on the road? No one. Opportunities to really eat your fill may be rare, so enjoy the ones you find. You never know how long you could be stuck, or when you will be forced to flee in a hurry. I lived in Los Angeles for years and was always struck by how little notice people were given to evacuate in front of forest fires or mudslides. Things can happen fast, so be prepared. In addition to your bug out bag, store some food in a grab-and-go container for an emergency evacuation. Those just-add-water meals in a lightweight bucket like this one, are easy to carry and the meals are super quick to prepare. In one of the first episodes, the main group of characters are looking around a store in Atlanta, gathering things they need. It hasn’t been that long since things fell apart and they aren’t thinking long-term. No one grabs a hat to shade their head and neck, sunglasses, or even a backpack, nor do they grab spices and other food. It makes me a bits nuts every time I see it, but they are in the beginning of the end of their world and aren’t thinking ahead to what supplies will be most important. If you are able to think about what you need long-term from the very start, like right now, you will end up in a much better place than those who don’t. That store is far from the last one these characters will enter during the series, but by the time they get there, most have been cleaned out by looters. In that first store, when they had the opportunity, the group left resources there that could have made their lives easier. They just weren’t thinking in terms of survival and priorities. A time may come when you will need to travel through a dangerous area or neighborhood in order to acquire an item you need immediately, such as medication. You won’t need to cover yourself in zombie guts to walk through the undead, but dressing to blend in is a great way to remain safe if you have to make your way through a hostile crowd. Camouflage is your friend in a disaster. If you’re wondering what the difference is between scavenging and plain old theft, read this. As we learn in TWD, sometimes other survivors are willing to help you. Sometimes they want to eat you for dinner. Sometimes they fall apart at the worst possible moment, in the worst possible way. And every now and then, they are better than you ever imagined possible. When you meet new survivors, it’s almost a given that they won’t give you all the relevant information right away. Their priority is to protect themselves. In the second season of TWD, the group arrives at an operational CDC facility with plenty of food, comfortable beds, and hot showers. The lone remaining CDC staffer lets them in with a warning that they can’t leave. This survivor neglects to mention the generators are almost out of diesel fuel and the system will automatically lock everything down and blow the place to kingdom come within twelve hours. The stress and loss destroyed him, and he truly believed all was already lost, so it didn’t really matter. By withholding some pretty crucial information it was too late, the group almost died as a result. Of course, there are times when other survivors provide helpful information. One survivor, Aaron directs the group to safe roads and provides directions to the walled town he lives in. 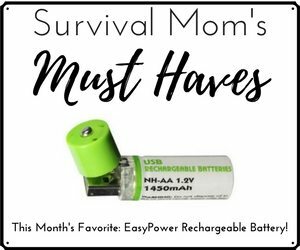 One thing is for sure, reliable information is going to be one of the first casualties in a big enough crisis and being able to contact others via ham radio or have a heavy duty, reliable shortwave radio on hand (with extra batteries! ), will go a long way in providing not just information but peace of mind when you know what’s going on “out there”. Sasha laying on a pit of dead bodies. Father Gabriel’s guilt over not letting his flock into the church with him. Rick hallucinating phone calls from his dead wife. Shane. It is important to look after your own mental health and that of those around you. Getting caught up in survival to the point that you neglect your mental health is all too easy. Don’t! No matter how hard it is, find time to take a break and to enjoy any family and loved ones around you. Know the physical and emotional limits for you and your loved ones. When you have reached them, tell those with you that need help before you fall apart. If you see others reaching their limit, help them if you can, even if they haven’t asked. During stressful times, even when you’re not hiding in abandoned buildings on the lookout for walkers, you might want to treat yourself and your loved ones to a favorite comfort food, or pull out a hidden package of cookies. These can be a good bribe to keep kids, especially, quiet and on task. As we learn in TWD, noise discipline can be one of the biggest factors in some survival scenarios. The important concept is to monitor yourself and members of your group for signs of PTSD and take steps to avert it, if possible. This book explains how to do that in more detail. I’ve watched this series from the beginning. 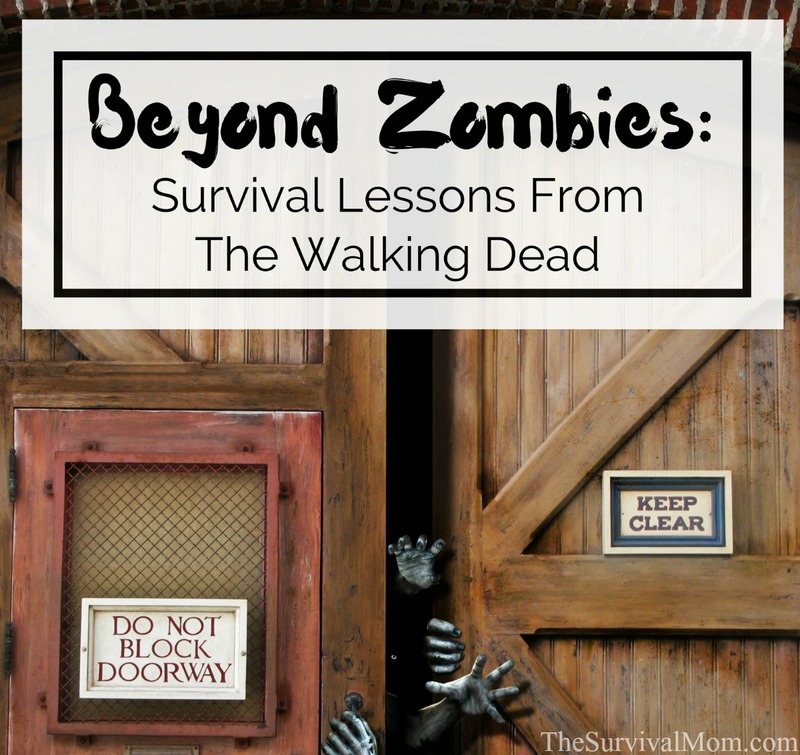 Yes, it’s unrealistic in that it’s about the undead, but it is hugely popular among preppers, in part, because of the survival lessons it teaches. Danger comes in many forms. A crying child or lowing herd of cattle can bring unwanted attention and danger. House windows and doors are easily broken. But the two things that bring the most danger are panic and carelessness. 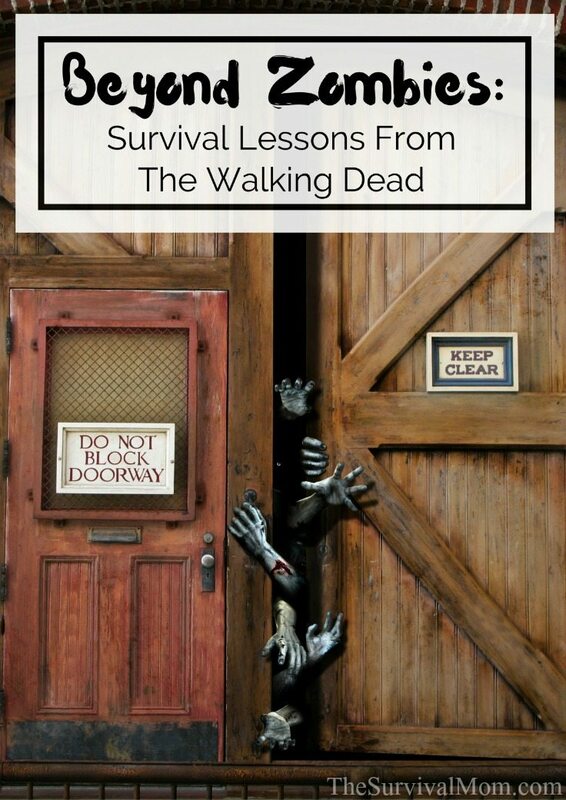 What lessons have you learned from The Walking Dead? I’ve learned that things like hygeine should not be ignored. Rarely do we see TWD cast dealing with laundry, human waste, garbage, teeth brushing, cleaning etc. Cleanliness will allow clean health. Don’t forget it. That’s true, although there was the episode where Rick killed someone on the toilet in self defense and left him turn in a bathroom. But TV shows don’t really ever deal with that. it does show how excited they are when they can get a decent shower, and at least they aren’t magically clean the way people are in some shows. 2. Watch who you let into your foxhole. They can make or break you. 3. Anything can be a weapon. I don’t know what I will need. I don’t know when I will need it. I don’t know how much, nor for how long I will need it. I don’t know what will precipitate the need. I do know, that if I don’t have it and I need it, it probably won’t be available. My kids got me turned on to TWD. Why hasn’t anyone had a dog? I love drama like the walking dead for showing a world free of government and people coming up with ways to survive with a total collapse of systems. I don’t know, I just enjoy watching this part of it. It bothers me if they try to establish a government. That’s always a downer for me. Spoiler alert: In the walking dead, I see a government happening when the neighboring town begins to tax our favorite characters under threat of violence. That’s what government is. It’s not there to help you. That’s not its purpose. It’s purpose is to take. Sure, it may buy some people off. It needs to, to survive itself, but it uses stolen money to do it. Yes spices are so important. Canned meat is not that good, out of the can but add some minced onions, garlic, rosemary, thyme and pepper and it can be quite good. This would be a major help to mental health and help get the food down. Love what you’ve put together here Liz. Let’s see, what have I learned? Don’t be alone, find a good group to be with, protect yourself, always be alert and know the stores in your local area (preferably mark them on a map). I’m sure more will come to me when the new season starts up this week. It’s just this article on my blog. You’re right – that would be a fun book! 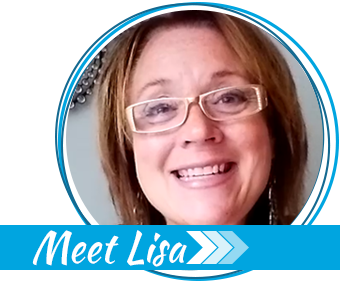 But at Lisa noted, it’s just the one post. But it was a heck of a lot of fun to write! Wow! Great article, especially because it points out upfront that the show is about human behavior, not zombies. I can’t get that idea across to those who don’t watch the show and think that every episode is just a zombie body count. 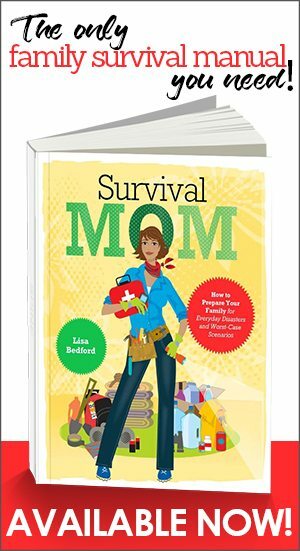 My background in two fields, psychology and self defense, has taught me that mindset means more to survival than technique or equipment. Prep away and at least you’ll have covered some fundamental needs before the apocalypse, but most people aren’t prepared for how they will really behave afterwards. Compound that by how those around you will respond (the ones who you think you know, not the strangers who you know that you don’t know! ), and people will be in for a shock that can be as bad as the trigger event itself. Firearms are everywhere and in some instances, whole arsenals are discovered. However, it’s rare to see boxes of ammunition, just guns. This caught my attention in one scene after a gunfight, when Rick stopped to pick up the spent brass from his Python (after having reloaded). Excellent idea since .357 is not as common as 9mm today. But at the same time, an error, in that the brass is only of value if you have powder, primers, lead and a reloading machine. While loaded guns may be in abundance because there are so few humans left (no need for boxes of ammo, just pick up another loaded gun), the more probable explanation is that on television things happen quite conveniently. But in reality, not so much. The point isn’t that you need to buy more ammunition, it’s that everything runs out, wears out, breaks, gets lost, stops working. The real value of prepping isn’t in the “having” of things, but in the knowledge of things. TWD overlooks this in many instances (the small farm at the prison would NOT feed everyone there, but nobody was starving!?) but it’s easy to observe their mistakes and think about solutions. Enjoy the show! At least they don’t have plentiful firearms in the hands of civilians in California in Fear. Now THAT would be unbelievable. You are right, though, that they never have boxes of ammo, or other containers, given that cardboard boxes are relatively easily destroyed. My biggest peeve is that they are now supposedly in “Alexandria” near “DC” and yet do not experience any non-Georgia seasons. It’s time for some frozen Walkers already! Now that some more time has passed, it is interesting that this past season has seen weapons (guns and ammo) portrayed as a valuable, and limited, commodity. That the real danger is other people, not the event itself. It drives me mad that none of the leaders if the various groups of survivors *think*! At the rate of decay we have seen, everyone just needs to hunker down about 5 years. Collect supplies, cultural items of significance, knowledge and people with important skills. The walkers will rot to the point of being a non-mobile threat. Then it’s time to rebuild.